Prepare to be insatiably irresistible wearing the Rebecca Taylor™ Off Shoulder Slub Suit Dress. Ruffle detail with raw edges at neckline. 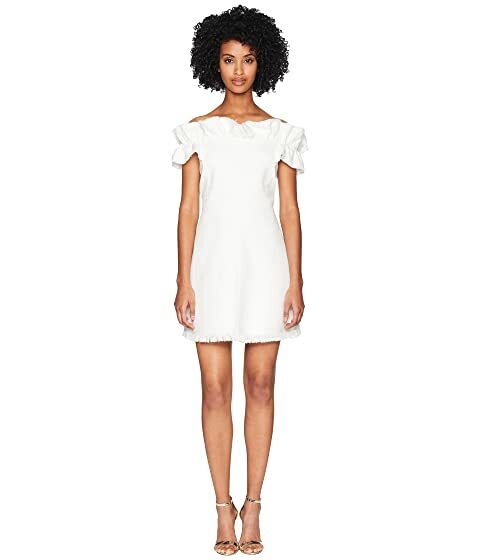 We can't currently find any similar items for the Off Shoulder Slub Suit Dress by Rebecca Taylor. Sorry!